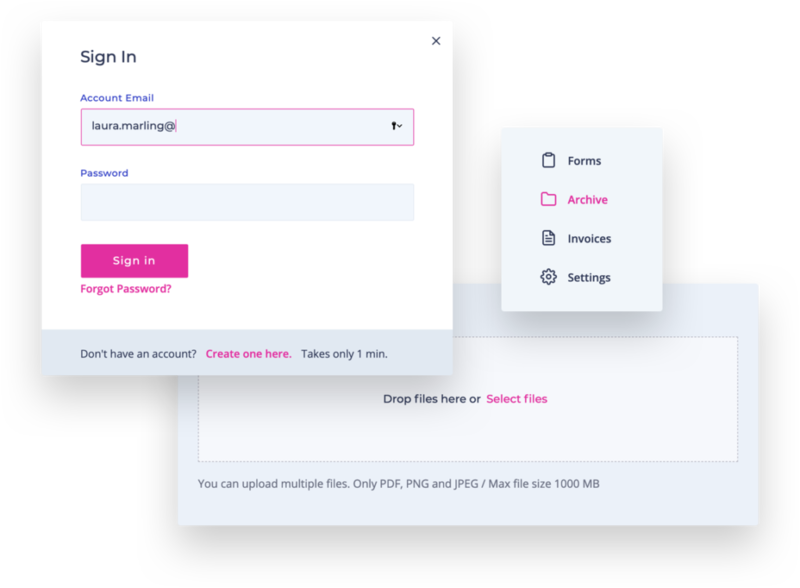 A cloud-based web app designed to drastically improve the customer experience while streamlining administrative workflow. MCE needed a stable and reliable platform that outperformed previous solutions. Their legacy systems had suffered from data loss, antiquated workflows as well as flawed methods for data collection including phone and email. Founded in 1992, Med Control Evaluation is well known for providing high-quality Independent Medical Exams to insurance carriers, attorneys and third-party administrators. To continue providing the best possible experience to their stakeholders, MCE came to realize that their legacy systems no longer provided them with the infrastructure needed to support their business. 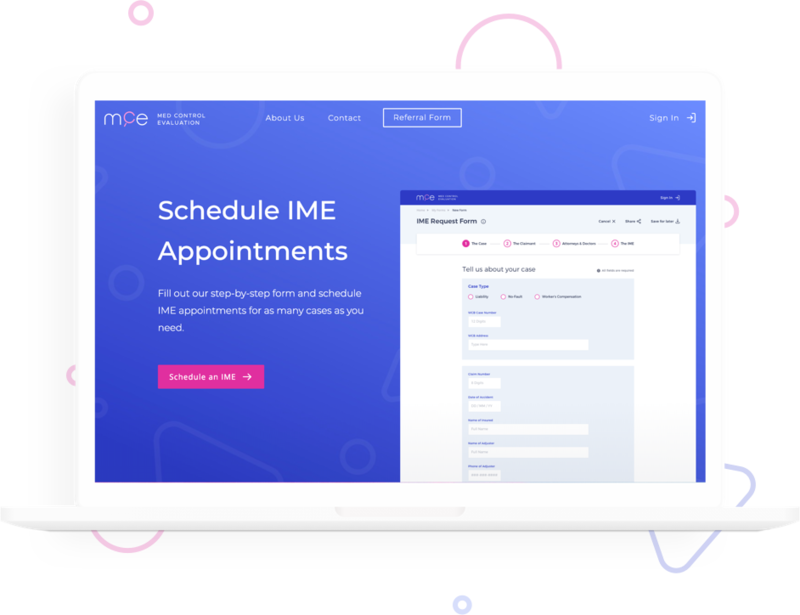 The main objectives for MCE were to reduce administrative activity time, increase throughput of IMEs and a provide end customers with a self-service portal. MCE needed a stable and reliable platform that outperformed previous solutions. Their legacy systems had suffered from data loss, antiquated workflows as well as flawed methods for data collection including phone and email. All this drove a negative impact on the overall operations of the business. Furthermore, MCE did not have a solid tool to boost their online presence leaving their sales and marketing teams at a disadvantage in comparison to their competitors. Together with MCE, we leveraged Agile Methodologies to collaboratively manage the product. 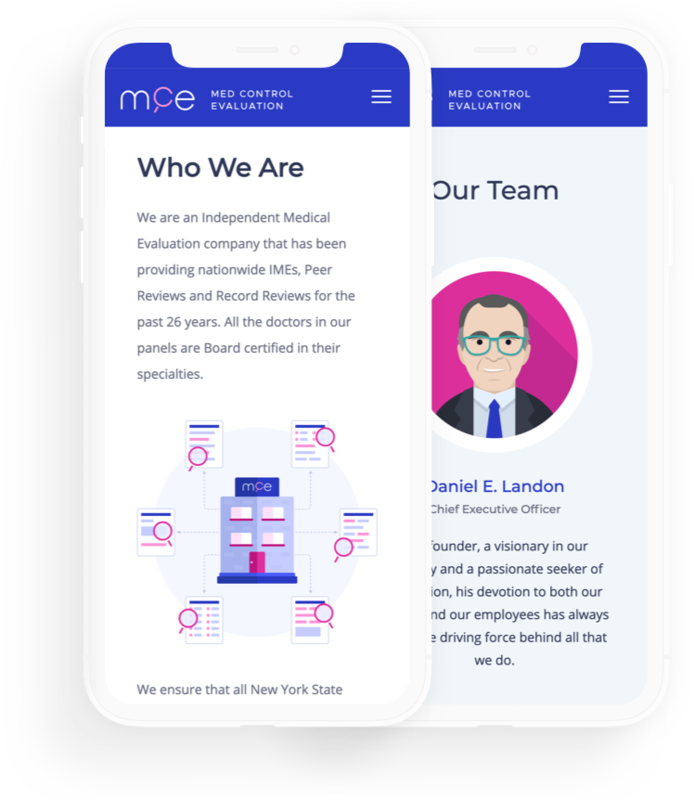 The initial MCE project took several months where we worked together to develop and execute on the roadmap for the product. Tatyana Naftalyev, MCE’s Head of Business Development led the project from MCE’s side acting as Product Owner and overall subject matter expert in her field. Throughout the process, we migrated all of the systems, data, while also adding a portal and seamless form submission process for MCE’s end customers. Throughout the project, Nolte & MCE held weekly check-ins and review of deliverables as well as progress. 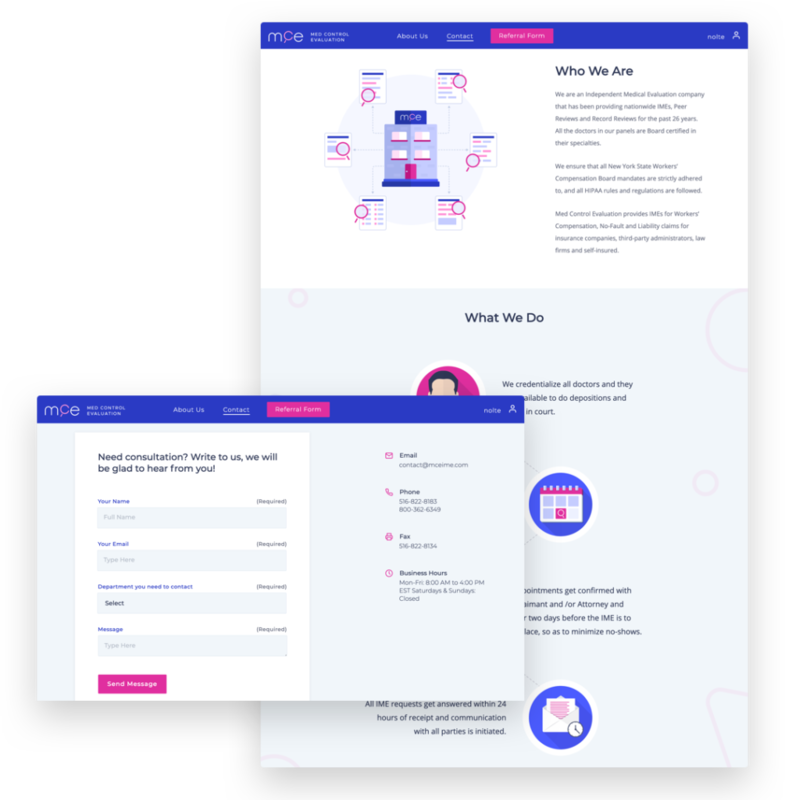 Through this collaborative relationship between our teams, we were able to deliver a product that met all of the initial goals and objectives set out at the beginning of the project. Nolte developed a WordPress powered product to support MCE. 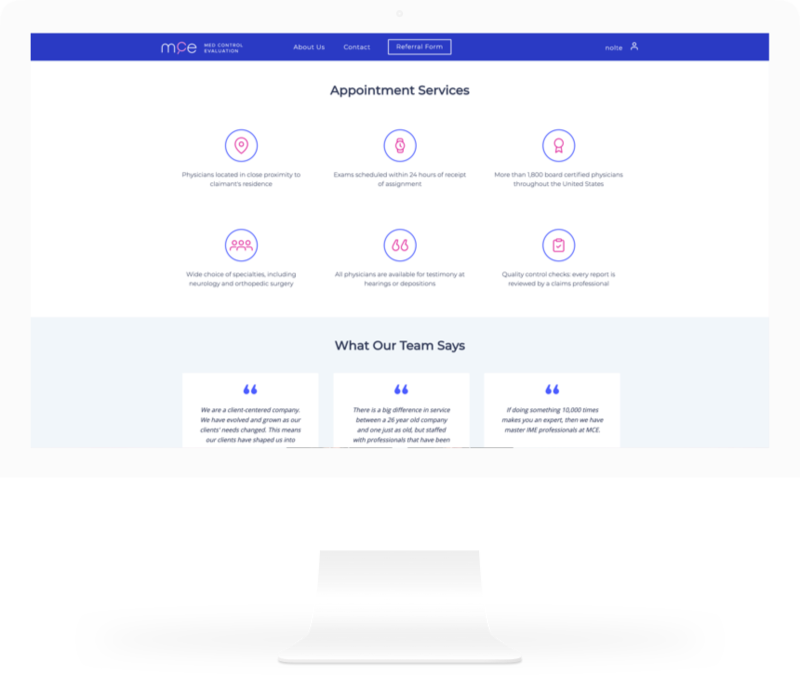 The MCE and Nolte teams worked in tandem to develop strategy, user experience, administrative workflows, and all graphical and brand elements. To make the transition as painless as possible, Nolte assisted by migrating their previous Microsoft Access system as well as facilitated training for all of the MCE staff. Not only was this a drastic change from MCE’s previous system, the process of requesting an IME was optimized into a seamless experience. 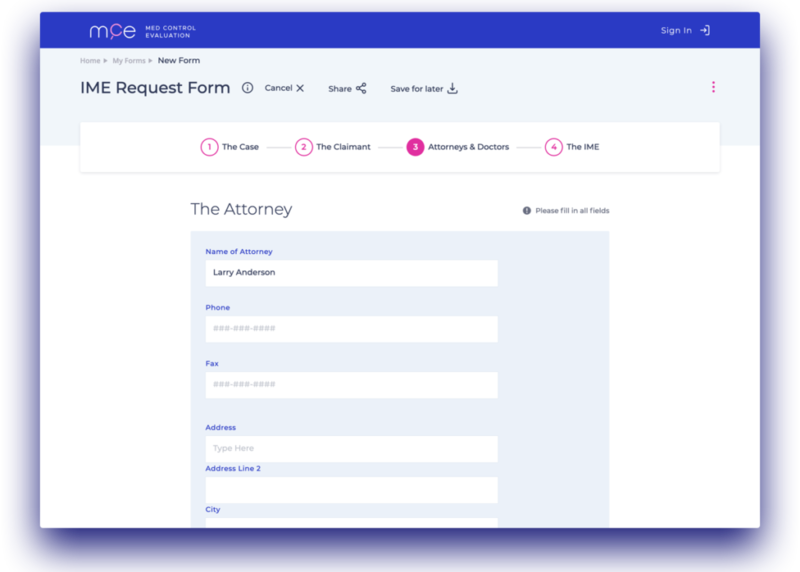 Insurance carriers, attorneys and third-party administrators in need of IMEs now enjoy a streamlined submission process which is guided, transparent and easy to access and share. In addition, MCE’s administrative team are now using the web application as part of their daily activities. Furthermore, MCE’s sales and marketing teams now have a channel for online lead generation, and a clear online preference they can refer to as part of their activities. MCE is enrolled in the Nolte Care program which provides ongoing support, maintenance and consulting on how to continuously improve the product through Nolte’s services. Need a partner to create or improve your product? Partner with Nolte to realize the potential positive impact your product can create.